Production has started for the Detective Pikachu movie. If you are wondering what the final film will look like, we don’t yet know. These set photos, however, might be hints at what to expect. 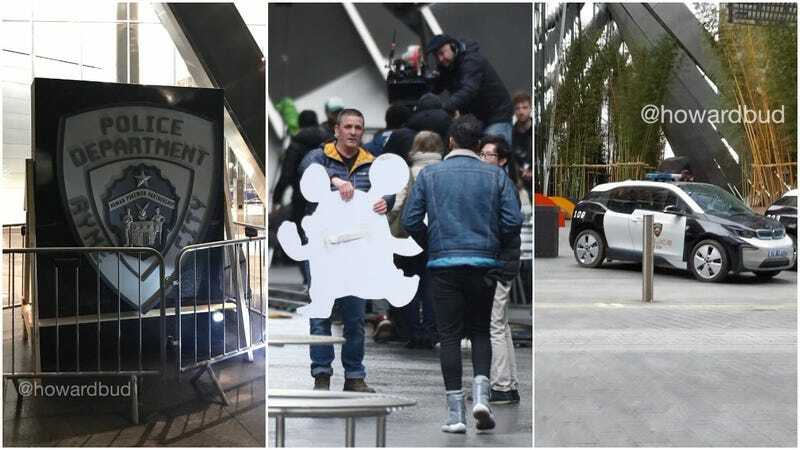 They’re currently shooting the movie in London, and these set pics show the Ryme City Police Department. Ryme City is the setting in the original game. The men in skin-tight blue are probably the Pokemon motion capture actors. 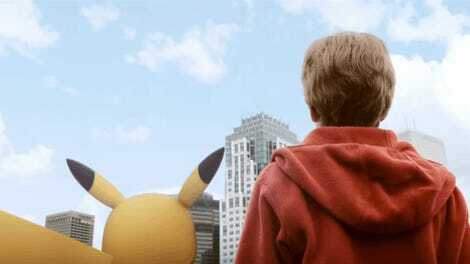 Detective Pikachu stars Ryan Reynolds, Kathryn Newton and Ken Watanabe. It is slated for a 2019 release.